As with people, the dog world also has its more difficult characters. A difficult dog breed is better known as “stubborn.” These dog breeds are a lot harder to train because of their independent attitudes and short attention spans. Most stubborn dog breeds are easily bored due to lack of stimuli. In this article, I've taken a look at some of the most stubborn dogs that many experts agree are very difficult to train. These fifteen are well-known offenders, but a few other breeds could fall under the dog trainer's radar as well. That said, there are always exceptions to the rule. A lot depends on a specific dog. GSDs known as one of the smartest dogs can occasionally be difficult to train as well. If you're looking to adopt a dog that's easy to train, these would probably not fit your requirement. However, all dog breeds – even these most stubborn dogs – can be trained. With proper and repetitive dog training, all patterns of behavior in a dog can be broken, according to research. But to accomplish this, you'll probably need some help of professional trainers. When adopting one of these most stubborn dog breeds, keep their requirements in mind. These breeds are not a good match for first time pet owners. They may be a poor choice for families with small children or other pets as well. But remember that if you're committed to proper dog training, even the most stubborn dog can be a great pet. 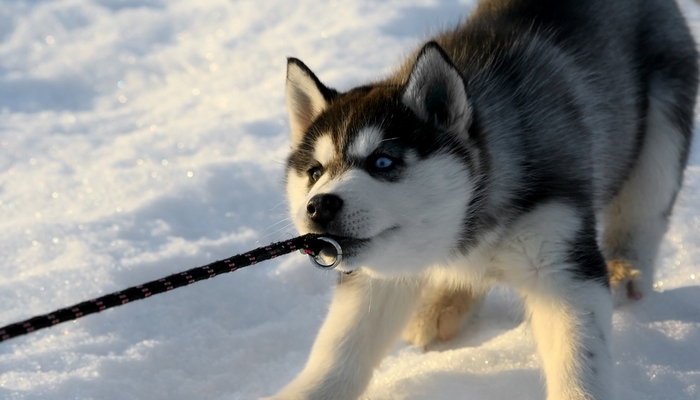 It’s no surprise that the Husky made the list of the most stubborn dog breeds. This breed is legendary for their temper tantrums and strong will, often labeled as complicated to train by Husky experts and confirmed in several studies. The main problem is that all Siberian Huskies tend to become bored quickly, and this can lead to destructive behavior. Constant stimulation and regular exercises are a must. They are excellent escape artists and this should always be kept in mind when adopting one of these vocal characters. This is not a breed for a first time owner, when rather they need someone with a firm personality who won’t give into their nonsense. Dachshund, known to many as a little barking sausage, is another one of the most stubborn dog breeds who would much rather be burrowing then listening to your commands. They're great dogs for families, but may not be too easy to train and educate to abide by your rules. As an adept hunter, the Dachshund very much enjoys running around the yard chasing lizards and small creatures that cross their path. Because of their stubbornness, they aren’t the easiest breed when it comes to training. 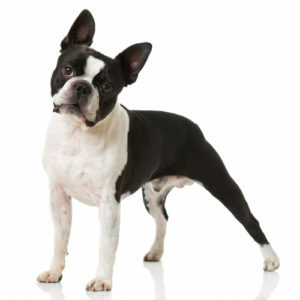 The Boston Terrier is a lively and comical breed, has an independent streak and likes using it on their families. It's a fun breed to own, but they're known as one of the most stubborn dogs difficult to train, even when employing the most effective psychological tricks on the list, according to trainers. These dogs don’t enjoy being told what to do and would much rather romp around in the garden than play fetch or sit for treats. Patience is a virtue when it comes to the Boston Terrier, and the payoff will be well worth it if you take the time and train them. Small and fierce, the Chihuahua would much rather be lying in your lap than doing anything that requires them to work for a reward. They're not only one of the most stubborn dog breeds but also one of the laziest dogs. They are very protective of their owners and would even attack someone in their own household to “protect” them, yet won't do too much damage. Chihuahuas are known for being aggressive when not properly trained, so it's really important that they work with a professional trainer. They are not a great choice for a first time dog owner or a family with small children. Looking at the above photo, it's clear that Scottish Terriers are handsome dogs. 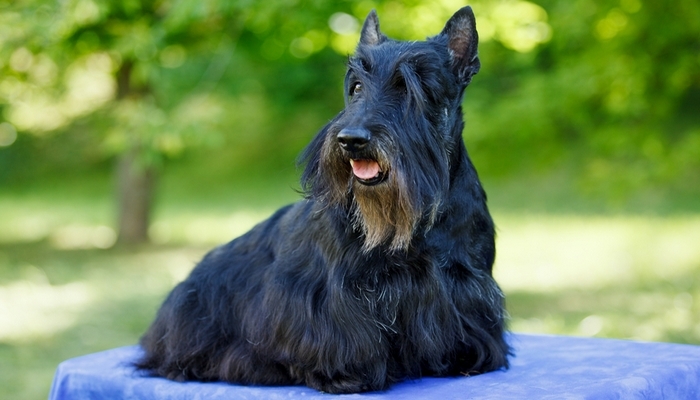 But with their gorgeous beards and cute swaggers, the Scottish Terrier clearly knows his worth. Don't let their good looks fool you – they are another of the most stubborn dog breeds. When they don’t want to do something, they really really don’t. Vocal, active, and proud these dogs will do what they want when they want. If their owners don’t make sure they are trained properly from a young age, this breed can be quite a handful. Known for picking only one owner for the rest of their lives, the Shiba Inu dog breed is a fiercely independent, which makes them one of the most stubborn dog breeds. They are one of the dogs who aren’t easy to train because they like having their way, and doing whatever they want. These dogs are also known for being aggressive if not properly trained at a young age. This breed needs an experienced owner, preferably one that has owned Shiba Inus in the past. 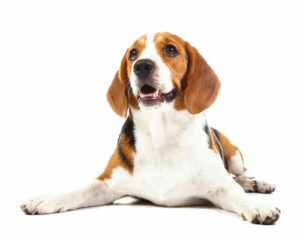 Beagles are known as one of the best hunting dogs with a long history as great hunting companions. However, the Beagle also makes most lists of most stubborn dogs according to dog trainers and owners alike. They tends to have a “What’s in it for me?” attitude when it comes to dog training and pleasing the owner. Because of their deep-set hunting characteristics, they can be quite difficult to train. Beagles need plenty of exercise to keep them from getting bored and destroying your yard and home. This breed also tends to howl when left alone for too long. Fox Terrier is another type of dog that know their worth and will not submit to most barking orders at them. This impulsive breed has a mischievous streak, boundless energy and a gung-ho attitude. The Fox Terrier needs a handler who knows what they’re doing, because this breeds knows how to get what they want without putting in any work. Fox Terriers would likely use an inexperienced dog owner as a doormat. Dominant, quiet and with a complex character, the Akita dog is one of the most stubborn dogs that you will come across. Add to that their very aggressive streak when it comes to other dogs, and an aloof disposition towards other people, you will definitely have your hands full with this canine. The Akita can be a well-rounded, relaxed pet if trained from a very young age. Consistency is key, because they won’t make it easy for you. They aren't the best pets for families or kids, and will require professional's help. Shar Pei is known to us all as a silent wrinkly breed that has kept a lot of its original traits. Early training and socialization is a must when adopting a Shar Pei dog. They are one of the most interesting breeds we have, especially because they tend to have blue tongues. They're also very difficult to train. But even though they are one of the most stubborn dog breeds on the planet, Shar Peis will do well with someone who trains them fairly and with compassion. A harsh approach will do absolutely nothing for these dogs. Min Pin, the nickname which has been affectionately given to this breed, is not a dog for someone looking into getting a pet for first time. Miniature Pinschers, obviously related to their bigger counterparts Doberman Pinscher known as one of the most scary dogs, are very active, independent, and dominant, making them difficult to train. 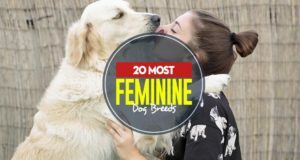 This most stubborn dog breed requires a ton of exercise, constant stimulation and someone who understands this dog's needs, and has the patience to train them. Stubborn and with a mind of their own, the Dalmatian is not one of the easiest dogs to train. But only if you can claim your place as their pack leader. Once there, there's little that a Dalmatian won't do for you. And with that in mind, they will make great companions and perfectly quiet apartment dogs. However, if you don't get to that place, Dalmatians are known as some of the most stubborn dogs alive. They enjoy going out and meeting new people, and having fun but remain independent. This breed needs constant activities and exercise that stimulate their mind and body so they do not get bored. Strong, solid and an attitude that will challenge any trainer, the English Bulldog is another one that makes majority of most stubborn dog breeds lists. 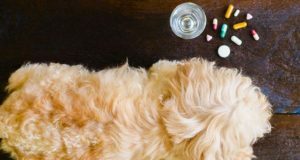 Because of their somewhat lazy personalities, this breed would much rather be lazing around living the high life, which makes them perfect for couch potato owners who aren't interested in training dogs. If you're looking to get into plenty of regular exercise and dog training tricks, English Bulldog may not be the canine for you. On the bright side, even though they tend to look fierce, this breed gets along with people, all animals and is great for kids. Basset Hounds are known as great companions for hunters and are famous gun dogs. This scent hound is an absolute pleasure to have in any family. With almost zero aggressiveness, the Bassett Hound would much rather remove itself from a situation where things are getting a bit difficult than attack. Friendly with strangers and other dogs, they will greet anyone who comes to the door with a loud bark. With all that said, the Bassett Hound is not a dog you should feel sorry for. Even though they may look sad and droopy, this dog has a stubborn mind of its own. The final breed on this list of the most stubborn dogs is the Weimeraner, or the “grey ghost”. This beautiful dog, with boundless energy and a stunning coat, will literally chase anything that runs. It is not a breed for new dog owners, as it can be quite difficult to handle at times. 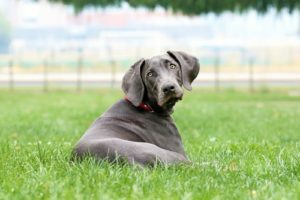 The Weimeraner is another dog that will do what he wants when he wants to, and with that needs a professional dog trainer's help or at least an experienced dog handler who knows that their work is cut out for them. Although they’re known to one of the most stubborn dog breeds, they aren't the most difficult to train. Patience and knowledge when dealing with them are your best friends. Next articleAsk a Vet: What’s the Best Dog Food for Arthritis?